This engraved silver plated trowel is 10.5" long with a 6" blade - this is the smaller trowel shown in the image and this price is for one trowel in a presentation box. The luxury presentation case as shown in the image is an additional cost. 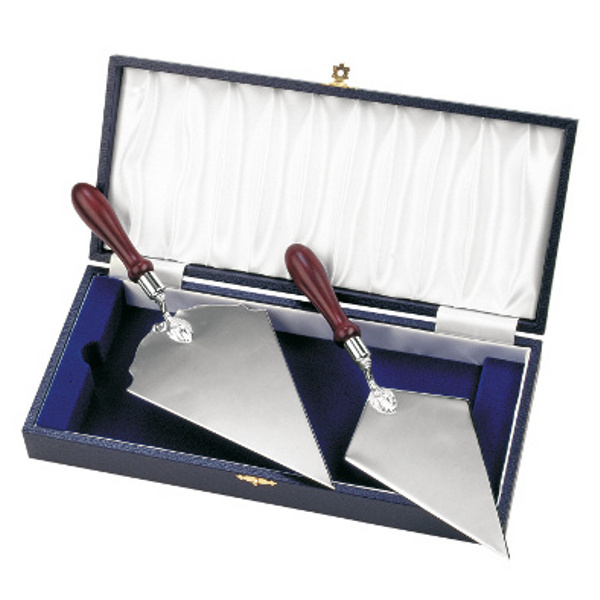 The engraved silver plated trowel is a luxury heavy guage and heavy deposit, and is supplied either in a presentation box (not shown in image) or luxury sturdy box (as in image). The silver plated trowel may be personalised with up to 50 characters of free engraving. The silver plated trowel is also available in a larger size. The postage band for the engraved silver plated trowel is band B.